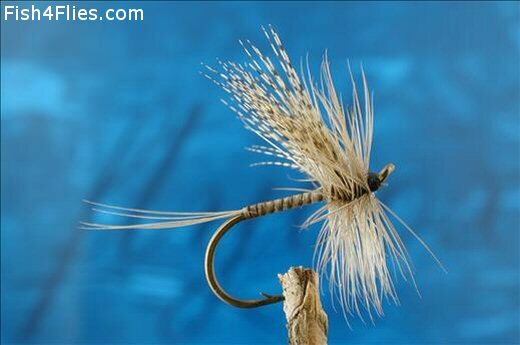 The Gordon Quill (UK) is an excellent high riding fly. It is an outstanding fly that has been taking trout for over 100 years. It's ability to represent various naturals is often helped by slightly varying the dressings to the naturals on the water. Theodore Gordon, 1854-1915, introduced the dry fly to America in 1890. Tail : Speckled mandarin hackle fibres. Body : Gold floss silk. Wing : Speckled mandarin hackle fibres. Currently there are no comments about the Gordon Quill (UK) fly pattern from other fly fishermen yet.